Today the small onsite spa was active. Christine had a massage under the palms out by the hot tub. She loves that deep tissue work which Carey delivered beautifully. Of course between the sound of the ocean, the breezy salt air and the lime & gin filled coconut that Dennis brought each of us, she only remembers 20 minutes of that enchanting massage. Still the afterglow lingered for hours for hours and made her body hum. Suzanne and I had opted for pedicures which two practitioners delivered inside the diminutive spa. As we gazed through the wall of windows overlooking the sea and the buttery afternoon light glowed, they transformed our hard working and travel weary feet into “les pieds jolies” polished, soft and ready for dancing. 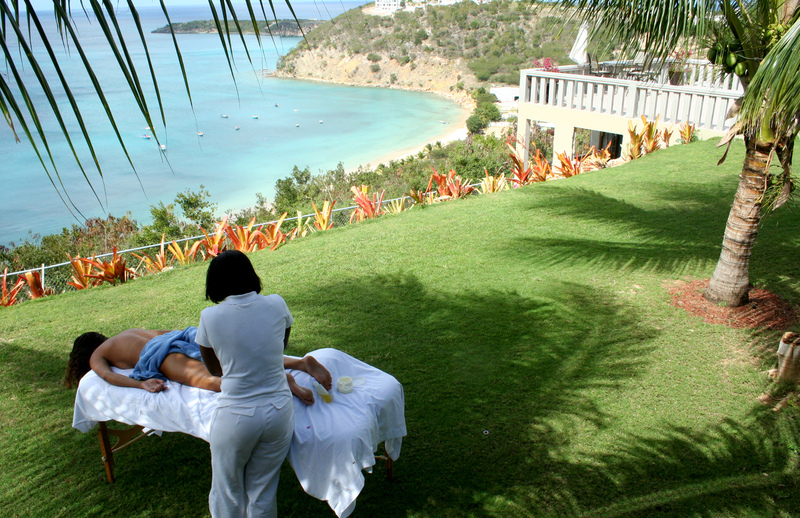 A massage under the palms with breezes blowing is a life changing treat!